ProLon® ingredients are plant-based and do not contain any additives, preservatives* or chemicals. ProLon® does contain honey and gelatin. 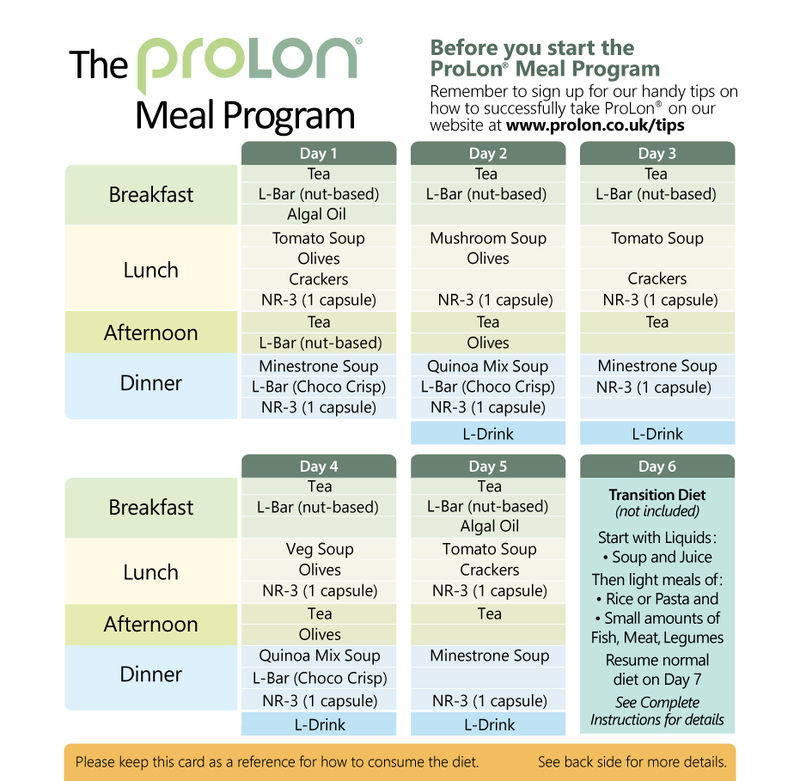 The daily calorific intake with ProLon® is between 750 and 1,100 calories from healthy ingredients that maximise nourishment and provide a pleasant eating experience.